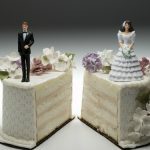 Whether the marriage lasted two years or twenty, divorce is rough thing. Even if you are not going through it personally, it can hurt to see it happen to a friend or a loved one. When someone close to you is going through a divorce, of course you want to help, but where is the line drawn? What can you do that will make an impact on their suffering? Why Being A Young Dad Is Great! Being a young dad is one of the greatest things that many men have the ability to experience. Whether you are dealing with an unplanned pregnancy or have planned to have children at a young age, it is a time in your life that you will never forget. While it is not recommended to have children until you are ready to settle down, financially able and are on the same page in life as your partner, many men are finding themselves ready for this experience sooner than later. Here are some of the main reasons why being a young dad is great and on the rise throughout the world. You have to ask yourself, “What does my lady really like?” and start there. If you do not already know, you might want to learn her favorite ‘F’ words. Yes, that is definitely your ticket because as her man you absolutely need to know her favorite flower, favorite fragrance, and favorite food. You will want to increase your knowledge base even further by finding out her favorite film, favorite fun thing to do, and finally you must know her favorite fantasy. You see understanding, embracing your woman’s passions even the simplest ones is the secret to her happiness, and when she is in high spirits, it makes complete sense that as her partner you also will share in blissful gratification. Secrets Exceptional Husbands Know – What Is Respect? Becoming a great husband doesn’t necessarily require enrolling in the latest sensitivity classes, yet it does entail doing the little things that can add up during the course of any successful marriage. Even though your needs are simple and it doesn’t take much to make you happy, keeping your spouse happy is an important part of the equation. Respect is a two-way street, and the more you give—the likelihood of getting it in return may become second nature. Finding the right combo may take a few practice runs and a little trial and error along the way, which is all part of becoming a great husband in training. The dos and don’ts of matrimony should extend beyond exchanging marital vows, yet there is no set standard in terms of how to handle the emotional ups and downs of most any marriage. A vitally crucial aspect of becoming an excellent husband is the communication factor, which is connected to everything else you’re about to read.